HMP Holloway was the largest women’s prison in Europe, historically holding numerous infamous female criminals and eliciting intrigue and fascination from the public. 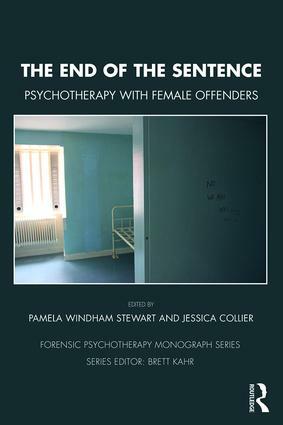 The End of the Sentence: Psychotherapy with Female Offenders documents the rich and varied psychotherapeutic work undertaken by dedicated specialists in this intense and often difficult environment, where attempts to provide psychological security were often undermined by conflicting ideas of physical security. Women commit crime most often in the context of poverty, addiction and transgenerational violence or trauma, familial cycles of offending and imprisonment which are often overlooked. Using personal testimony and case studies, and screened through the lens of psychoanalytic theory, the book examines the enduring therapeutic and relational endeavour to find connection, closure and to experience a "good enough" ending with prisoners when the possibility of a positive new beginning often seemed remote. It also considers how the cultural and political discourse remains hostile towards women who are incarcerated, and how this may have culminated in the closure of the only female prison in London. Through insightful real-life accounts, this insightful book also emphasizes the importance of professionals finding ways of supporting one another to offer women who have entered the criminal justice system a way to leave it. It will prove fascinating reading for forensic psychotherapists, forensic psychologists and criminologists, as well as anything interested in the criminal justice system. Pamela Windham Stewart has worked for over twenty years as a psychotherapist in a number of prisons where she has developed and facilitated therapy groups for mothers and babies who are incarcerated. Pamela lectures widely and is the founder of the Saturday Forensic Forum. She has a private practice and is a clinical supervisor. Jessica Collier is an art psychotherapist and clinical supervisor working with women in the female prison estate. She lectures widely on forensic art psychotherapy and her published work focuses on trauma and unconscious re-enactments in forensic institutions. Jessica is co-convenor of the Forensic Arts Therapies Advisory Group and visiting lecturer at the University of Hertfordshire.